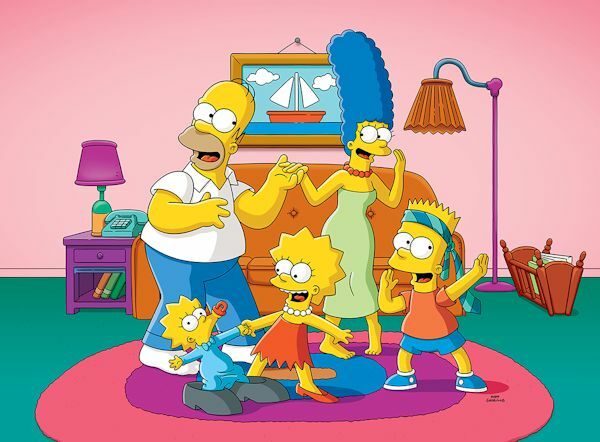 Making history yet again, The Simpsons has been renewed for its 31st and 32nd seasons on Fox, by which time, the series will have produced 713 episodes. "Woo hoo! 32 Seasons! Watch your back Meet the Press," said Homer Simpson. The longest-running primetime scripted show in television history, The Simpsons exploded into a cultural phenomenon in 1990 and has remained one of the most groundbreaking and innovative entertainment franchises, recognizable throughout the world. Currently airing its historic 30th season, The Simpsons has won 33 Emmy Awards, 34 Annie Awards, a 2016 People's Choice Award and a 2016 Environmental Media Award. It was the first animated series to win a Peabody Award and was nominated for an Academy Award in 2012 for the theatrical short "The Longest Daycare." "The Simpsons Movie" was a hit feature film, the mega-attraction "The Simpsons Ride" at Universal Studios has received historic expansion updates with the addition of "Springfield" and the show was honored with a Star on the Hollywood Walk of Fame in 2000. It has been named the "Best Show of the 20th Century" by Time magazine and called the "Best TV Show Ever" by Vulture in 2016. CBS announced that it has renewed the critically acclaimed, top-rated comedy series Mom for two more seasons, and series stars Anna Faris and Academy and Emmy Award winner Allison Janney have reached new agreements with Warner Bros. Television to return for both years. Mom is the #3 most-watched comedy in broadcast television (behind only CBS' The Big Bang Theory and Young Sheldon) and is a top five comedy among adults 25-54. Mom premiered on Monday, Sept. 23, 2013 and moved to Thursdays at the start of season two. Mimi Kennedy, Jaime Pressly, Beth Hall and William Fichtner also star. Chuck Lorre, Nick Bakay, Gemma Baker and Warren Bell are executive producers for Chuck Lorre Productions, Inc. in association with Warner Bros. Television. The series was created by Chuck Lorre, Eddie Gorodetsky and Gemma Baker. Mom joins the previously renewed freshman hits FBI, God Friends Me, Magnum P.I. and The Neigborhood, and the final season of Criminal Minds, on CBS' 2019-2020 lineup.